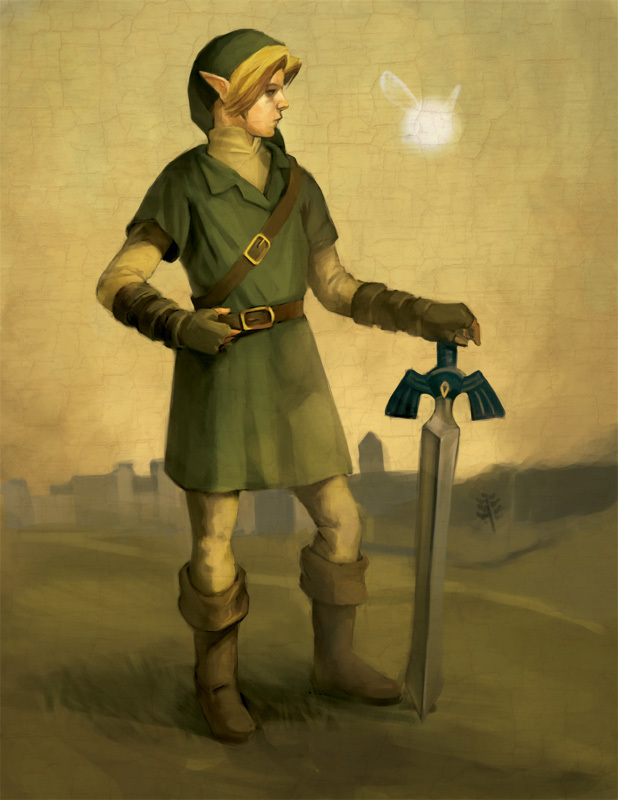 Link, the Hero of Time in a very old Portrait! And another artwork from Elizabeth Sherry from Canada in her pretty unique style to paint game characters as if they would have been drawn a loong time ago already. I repeat myself now but i really like this style which is a nice change to a lot similar looking artworks. We see Link here btw. from Legend of Zelda: Ocarina of Time together with the super annoying helpfully Navi Nice portrait of those two, keep on drawing like that Elizabeth!